Odd-numbered years are re-appraisal years in the State of Colorado. All real property is reviewed and new values are established for ad valorem taxation purposes. In 2017, El Paso County reported a total of 253,197 active real property parcels (including mobile homes). The number of parcels necessitates mass-appraisal be used in estimating the value of each property. In May of re-assessment years, all property owners are sent a Notice of Valuation (NOV). The purpose of the NOV is to inform you of any increase or decrease in your property valuation and advise you of your right to appeal the new value. The El Paso County Assessor’s Office Land Appraisers are responsible for making sure the land information on every parcel is correct. Topography is always of prime importance, especially in the mountainous areas of the county, where current and future access can be questionable. Parcels sitting side by side may be so affected by topography. One lot might be usable while the other is not. Agricultural land, predominantly in the eastern part of the county, must be monitored closely. There is strict criteria that must be met to qualify land for an agricultural classification. Most farmers and ranchers in our county maintain their property as full-time businesses and the property owners make their livelihood through the land. As such, the state has rigid agricultural guidelines in place ensuring farmers and ranchers aren’t placed in the same valuation category as city dwellers, but are valued comparatively with other agricultural property. Commercial and Industrial land, as well as Natural Resources (Earth & Stone Mines, Mineral Interests, etc.) also have their own classifications and are compared with other like-use properties to estimate the land value. El Paso County’s Residential Property appraisers have their hands full, ensuring that all new housing is added to the tax-rolls. They are also responsible for following up on building permits. Permits include new garages, decks, finished basements, additions, alterations, etc., to ensure the inventory of the residence is current. They also follow up on detrimental elements such as demolitions, fires, and other possible obsolescence that may lower the value on both new and existing properties. Ensuring that the property records are up-to-date and the data collected is correct requires all residential appraisers be in the field five days a week. The Assessor’s Office Commercial and Industrial Appraisers on-staff are responsible for classifying different improvement uses. Commercial and Industrial property is valued by all three approaches to value that are, cost, income and market. All three approaches are analyzed with like use properties and compared against one another. Huge commercial and industrial properties present a special challenge. These large complexes don’t go on the market often, making it difficult to find comparable sales. The cost and income approaches to value as well as the Market approach are used to help our appraisers estimate the property’s worth. 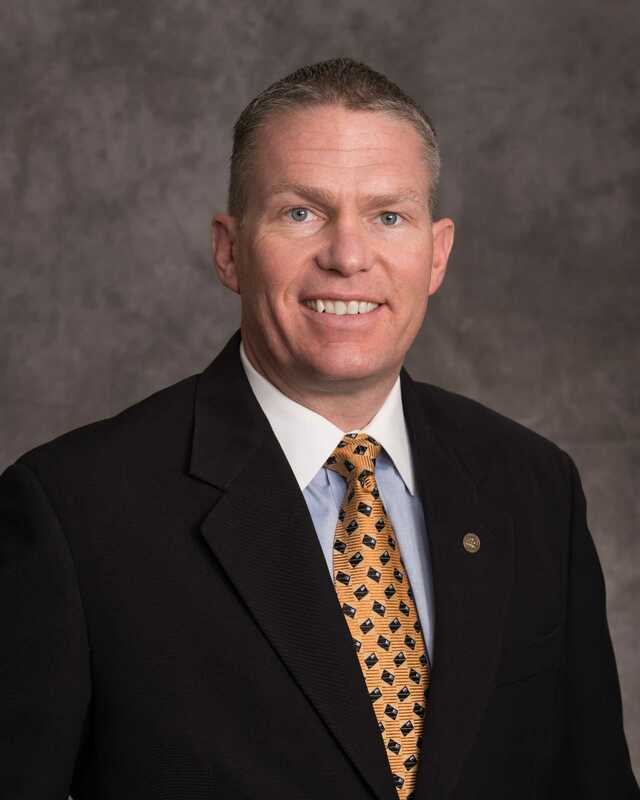 The Colorado General Assembly sets the assessment rate. The Assessor’s Office has no control over tax rates. Mill levies are set each year by taxing authorities. The mill levy is the total percentage of each tax bill going to schools, fire districts, water and sanitation districts, library districts, governmental agencies, and other special districts that provide services to the area in which your property is located. Each tax district is different. Once the mill rates have been determined, and the Assessor’s Appraisal Staff has updated the property records, it is the job of our Chief Appraiser to analyze the data gathered and estimate values for each parcel in El Paso County. This is an enormous undertaking, to say the least! An Abstract of Assessment is then produced outlining the total assessed value of each category of property and each use within those categories. THIS IS NOT A TAX BILL! Shortly after May 1, you will receive a Notice of Valuation (NOV) for each property you own in El Paso County. Property is re-appraised every other year. Therefore, 2019 values will be in effect for tax year 2020. These values have a base year of 2017. 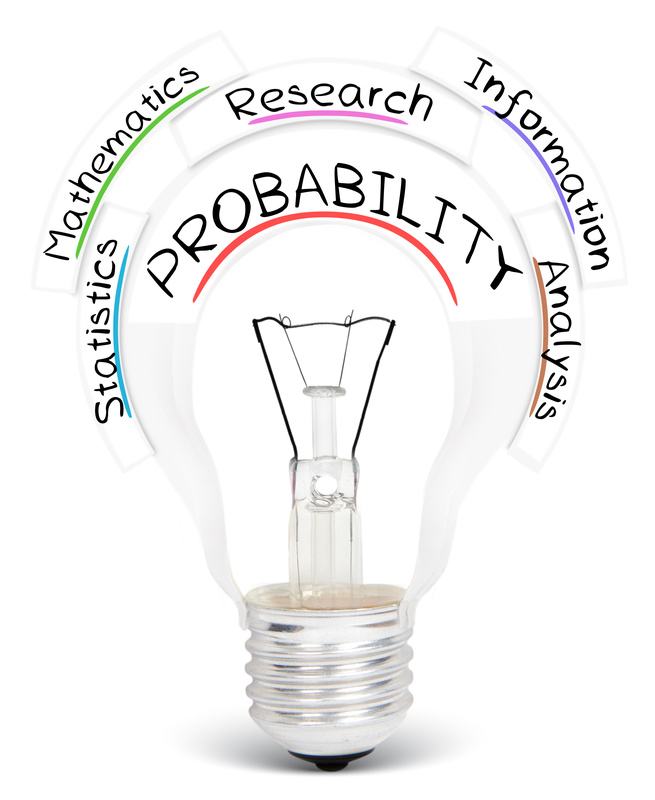 For intervening years (even numbered), only properties that have experienced a change will receive an NOV.
Colorado Statute 39-1-104(12.3)(a) states the data-gathering period used to estimate the value of property for 2019 & 2020 shall be the 24-month period running from July 2016 through June 30, 2018. Only properties having sold within this 24-month time frame may be used as comparable sales when estimating market value. Is Your Value Too High? Do We Have Wrong Information? Gather as much information as you can on similar properties in your neighborhood. Compare the features of these properties to the features of your property. If there are differences, the values of the properties will probably be different. If you’ve recently purchased your property, what was the sale amount? If you’re thinking of selling, what price are you considering asking? How do these values compare with the estimated value the Assessor has placed on your property? What do you believe your property value should be? Visit our Re-Appraisal Sale Data for information pertaining to all property classes (Residential, Commercial, Industrial, Vacant Land). These lists are also available for research in our office. TIP: A square-foot value is not the Market Approach!! If you have found a discrepancy in the Assessor’s data, please contact our office! Our goal is to have correct and complete assessment records. If the Assessor’s records don’t reflect the correct inventory, a fair value cannot be estimated. While an informal review is not necessary to appeal your property value, it can be beneficial and avoid an appeal. 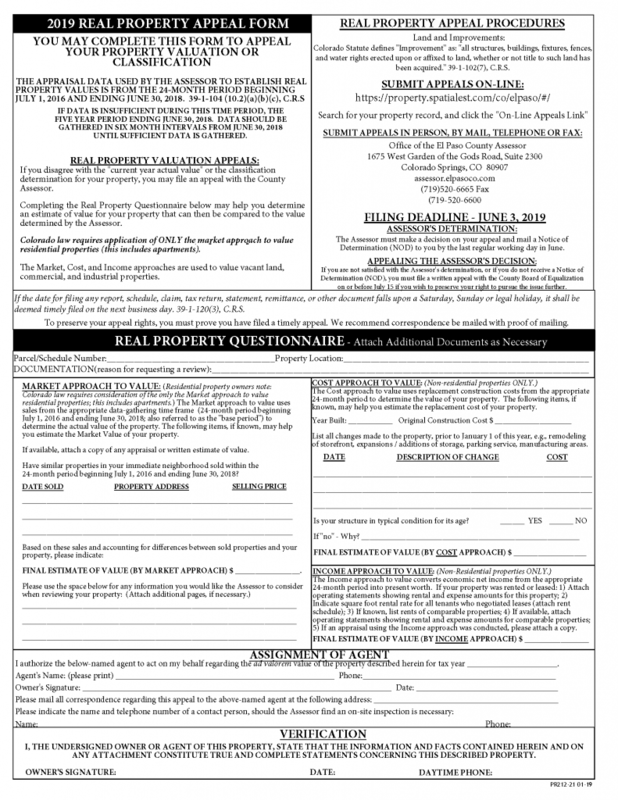 The month of May is the formal appeal period, however the Assessor’s Office is always available to review property records and discuss concerns regarding property value or classification. The staff-member conducting the meeting will review your property records and comparable properties. We encourage you to submit any information you have gathered. If you have uncovered an error, It is possible that a staff appraiser needs to visit your property to ascertain whether discrepancies or changes to the property warrant a value or classification change. It is also possible that a decision regarding a change may require further research, or documentation may be requested (photos, formal appraisals, etc.). After reviewing your inventory, comparing like-properties and reviewing sales, you still feel your property value is incorrect, an Appeal may be in order. Appeal on-line through our Property Record Search page. Enter your parcel/schedule number (10-digit number, located in the upper left-hand area of the NOV) and click go. This will access your property record as the Assessor has it listed. Complete the on-line form, upload supporting documentation and press submit. Should you choose to appeal in writing, the back of your Notice of Valuation is the official Appeal Form. 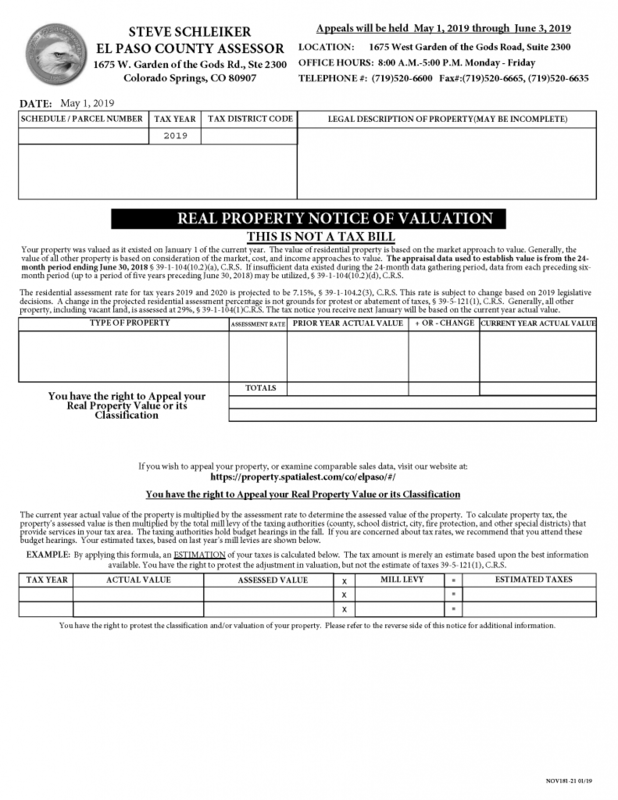 Appeals of your property value may be made by telephone, mail, walk-in, or fax. If you wish to file an appeal on more than one property, submit complete documentation individually for each property. Property records are numbered and listed separately and the supporting documentation must remain with the records of each property. It is the responsibility of the taxpayer to submit separate documentation (even if the information is identical) for each separate parcel. Include as much supporting documentation as you can, stating why you believe your value is incorrect. For example, a recent appraisal, photographs, comparable sales, or a written description of the condition of the property. To preserve your appeal rights, you may be required to prove you have filed a timely appeal. We recommend all correspondence have proof of mailing. ALL Documentation Must Be Surrendered At The Time You File Your Appeal! If you are dissatisfied with the decision returned by the CBOE, you may continue your appeal to the Board of Assessment Appeals (BAA), District Court, or to the County Commissioners for Binding Arbitration. Decisions reached through Binding Arbitration are final and not subject to review. You must appeal the CBOE decision within 30 days after receiving your decision letter. If you are dissatisfied with the decision of the BAA or District Court, you may appeal to the Court of Appeals within 30 days of a BAA decision or 45 days of a District Court decision.